The Radio Television Digital News Association released its list of winners for the Regional Edward R. Murrow Awards today. And StateImpact’s work was all over it. 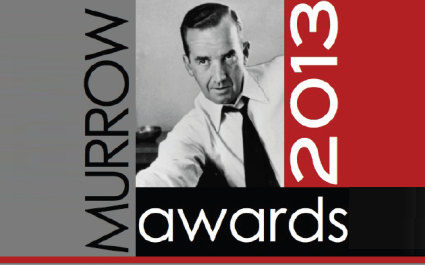 Our teams in Florida, Idaho, Indiana and Pennsylvania won a total of seven regional Murrows for their work in 2012. StateImpact Florida’s “13th Grade” reports, a series on the remedial education crisis, won for investigative reporting in Region 13. StateImpact Idaho’s Molly Messick won the best writing award in Region 1 for her piece on the diverging economic fates of loggers and ranchers in rural Idaho. StateImpact Idaho won in the hard news reporting category in Region 1 for Emilie Ritter Saunders’ work on Idaho’s doctor shortage. StateImpact Indiana’s “Progress Report” won in the news documentary category for Region 7. StateImpact Pennsylvania won both of Region 11’s awards in investigative reporting for radio. That includes an award for Scott Detrow’s work on abandoned wells and Susan Phillips’ examination of a rule that requires doctors to keep quiet about what they know about chemicals used in hydraulic fracturing. StateImpact Pennsylvania also won in the news series category of Region 11 for several Scott Detrow stories related to the impact of Pennsylvania’s natural gas boom. There were two other awards given to StateImpact station partners that our reporters had a hand in. In Idaho, Emilie and Molly contributed to KBSX’s award-winning 2012 election coverage. And in Texas (by matt – source), StateImpact reporters Mose Buchele and Terrence Henry contributed to KUT’s award-winning “Forged in Flames” project about the 2011 wildfires in Texas. Congrats to all these teams for much deserved recognition! According to RTDNA, there was a record number of submissions this year, so there was a lot of competition. All of our regional winners will be considered for a national Murrow award this summer. Good luck, gang!